There are a lot of ways to discover yourself or understand the world. One of them is travelling. It’s the best way to realize how different cultures are from one another. We talked to a woman who understood a little more about herself after going to India, where the Vipassana technique of meditation allowed her to go deeper into her innerself. I was in Hampi, a small and magical village in Karnataka province (India), where I first heard about Vipassana. Axel, a Catalan guy who has lived and worked there for more than seven years, explained to me the excellent results of this ancient meditation method. 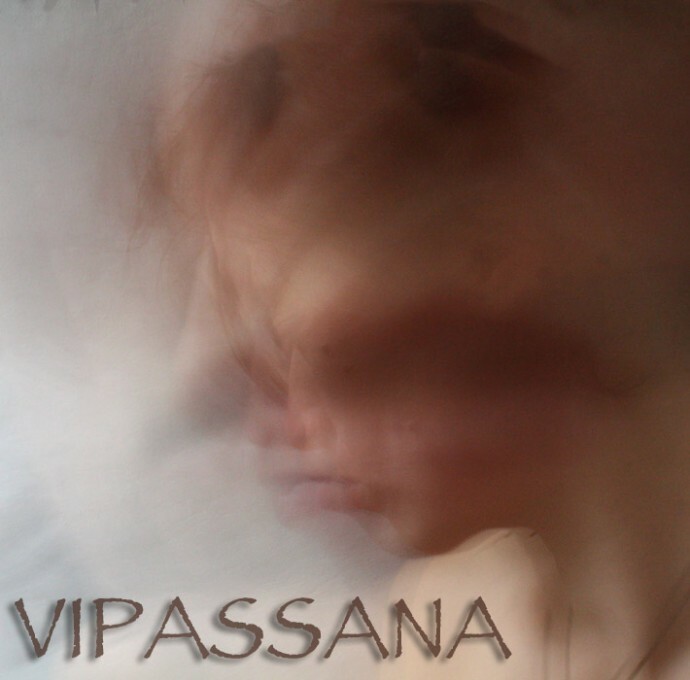 Vipassana means to see things as they really are and it is one of India’s oldest meditation techniques. It is taught on a ten-day course in which students are free from all distraction (no cellphone, no Internet, not even speaking dude!) and teaches the basics of the method, while still allowing students to experience the beneficial results. At that time, (January 2010) I was travelling with a friend around Goa–a state known for its beaches, trance music and good vibes, so I wasn’t ready or interested in staying ten days without tanning myself, speaking or drinking Kingfisher, my favourite Indian beer. Three years later, after hitchhiking around New Zealand, I felt like trying it, I’ve heard too many different opinions about it. It was just my moment. 9 January 2013. The shuttle bus is waiting in front of Sky City to take me to Dhamma Medini, the official Vipassana meditation centre and place that I will soon name “Jail thoughts.” I sit next to a bald and attractive kiwi and I start to talk at random. I have an uncontrollable desire to talk, I explain my life to him and on the few occasions I let him say something, I discover that he is also a passionate traveller and that a couple of months ago he broke up with his girlfriend, so he feels like having an introspective time. Cool! I still have my gab and we finally arrive to our home for ten days and eleven nights. ‘It looks like a hospital,’ I think and I say goodbye to him, men and women must live apart, no distraction at all. A large woman who is in charge welcomes us to the centre. She reminds us of the code of discipline and asks us if we are willing to spend ten days in noble silence. Although I hesitate for a few seconds, we accept, drop our backpacks and head to the meditation hall, where our Vipassana course begins. Professor S.N Goenka, born in Burma but originally from India, will be joining us during our stay and providing some meditation instructions. He starts singing and I think he should take a couple of Strepsils. Anyway, I tolerate the first hour of meditation. We must focus our attention on the upper lip, sounds easy. I go to my tent and sleep like a baby. The next day at 4 am, the gong invites us to attend to the hall again. Do I really have to go and meditate now? With a blanket around my body, spring roll style, I go to the hall, I sit and try not to fall asleep during that hour. Occasionally my head droops, and with effort brought back to the proper position. At some point I open an eye a little and realize that the kiwi I met on the bus is just behind me (the hall is the only place where both sexes can meet) and then I remember I should focus on my upper lip. But the third day comes and the weather turns grey along with everything else.. I’m tired of being quiet, I ache all over, I’ve already wandered the bush 50 times and I wonder again and again what I came for. The meditation hours become a constant struggle, a real torture, I cannot shut my mind in any way. I look at the other girls and all of them look sad, depressed. ‘They probably have a glum past‘, I think and imagine the worst. ‘The tattooed girl was in jail, the other one is a drug dealer, the girl who always looks at the plants freakily is completely loopy, the dreadlocks girl bla bla …’ I label them all, without any compassion, all of them have problems and they have come to purify their minds, but I have no problem, I’m fine and I’m happy, I should run away from this place. Fortunately some rationality sometimes appears: ‘Have you seen your face? Its terrible as well honey. You look like a maniac hiking around the bush.’ Probably no one is at their best, being alone for this many hours is not easy for anyone. But being here was your decision, you must face this now and accept yourself. You have no patience or concentration and you want to improve it, you must stick it out”. I realize that in my backpack there is a notebook and a pen. I cheat and I break a rule. I start writing and even drawing, something I have never done before. The fourth day, tired of sleeping in the tent and being cold, I get the pleasant surprise that I now have room in the house which I transform into my gym: squats, push-ups, sit-ups, leg up, leg down, I have an extraordinary energy. You have to burn calories as many hours of sitting creates sagging. One, two, one, two. The fourth day we also have a new challenge. The Vipassana technique gets interesting and instead of focusing only on the upper lip we control the feelings of the entire body, from head to feet, without changing position, so that if something hurts, you just have to grim and bear it. As Goenka says, everything is impermanent and it comes just as it leaves. You have to be equanimous–we are reminded again and again by his voice. The days pass slowly, I think too much and the fifth day becomes awkward too. I’m only halfway, there are still five more days, I’m still not good at meditation, I do not know if this is helping me. Instead of relaxing my mind I find that my thoughts are increasing, bizarre memories from my past, future goals, strange images, I discover that I’d like to become a mother someday and I miss my family. I cry. But on the sixth day the light reappears. I concentrate for 45 minutes, I forget the pain, my body vibrates, I experience pleasurable sensations and my concentration is improving. I am satisfied. Next day I break another “small” rule and whilst hidden in the bush I have a short exchange with the Colombian girl. She declares that it is also hard for her. We encourage each other and we say goodbye with a smile. This mini conversation gives me strength to continue working. Although painful, the technique makes sense and I enjoy the meditation more and more. Every night before going to sleep, we watch a video where Goenka gives a talk about the miracles of Vipassana. Although concepts like salvation and misery are not ones that resonate with me (I don’t believe in the first and the second is not the word I would use to define the difficulties of life), many of his conclusions are true or at least logical. Unlike many religions, Buddhism, hence the Vipassana, does not idealize god blindly. Buddha means ‘the enlightened one‘. This definition of ‘god’ differs from other religions because it is non-exclusive: anyone can become enlightened. Also in Buddhism you work from your personal experience, coming to your own conclusions. Through meditation and with closed eyes we look beyond what we see every day. Instead of attributing everything to the outside world we listen to what our bodies tell us, observing its feelings and its reactions. Human beings move through such simple concepts as ” I like” or “I don’t like”, desiring or rejecting, always leading to unhappiness. While working with the physical sensations of the body we can work into the deepest part of the mind, where we can adjust heal, and control our issues, such as psychosomatic diseases. With a healthy and balanced mind we can enjoy a balanced and happy life. This entire thing sounds great, but it’s always easier when you’re retired, living as a monk or a hermit, isolated from any responsibility or concern. The tricky thing is to apply it to everyday life; I assure you that I will not be waking up at 4 am every morning to meditate. Anyway, I did not come here looking for a life-devoted meditation. I’ll try to remember things that this course has taught me. A little discipline never hurts and spending ten days following standards and rules has helped me to see that effort and perseverance can give results: I improved my concentration and patience. I remembered that as Goenka says, nothing is permanent and if I have a bad day, a good one will always follow. I now understand myself better and I conclude that the matters that are bothering our heads are mostly the same crap as always. And most importantly, this was yet another experience collected in my backpack. Oh yeah, I forgot! Curious to speak with the dodgy girls (those who in my mind were junkies and prisoners) I discovered that they were all lovely people, with names and voices, and a conventional life, without heroin or crimes involved.